The EDDIE Awards for reading and language arts are two of the 14 total MobyMax received from ComputED Gazette in 2018. The company has been honored by dozens of other awards recently, including Best Early Learning Reading Website and Best Multi-Level Reading & Language Arts Website in the 24th annual BESSIE Awards. MobyMax also received the CODiE award for Best Pre-K/Early Childhood Learning Solution in 2018, as well as the 2018 Tech Edvocate Award for Best Global EdTech Company. These are just a few of the 57 awards MobyMax has won in the last two years. 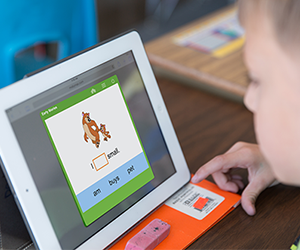 MobyMax is used in more than 82% of all K-8 schools in the United States, with over 28 million students and 1.5 million teachers registered. The 2018 Teachers’ Choice Award for the Classroom by Learning Magazine.